I know that many of our clients prefer to err on the side of extreme caution when it comes to HMRC and their tax bills. While ensuring your records are in tip-top shape and adequately provisioning for the end of the tax-year is integral to managing your limited company; many consultants miss out on some of the available opportunities to make their companies more tax efficient. No one wants to be overpaying on their tax, so it’s important to be aware of the day to day chances to lower your tax bills legitimately. If you’ve been consulting for a while now, you’re probably well-practised in the usual tax efficiencies. You know to be claiming for all your relevant expenses and how to utilise your salary and dividends. But there are some, more advanced, tax-saving options that you might not be aware of. Supporting charities through your limited company means that you can donate to causes close to your heart and reduce your Corporation Tax bill at the same time. Essentially the amount you donate is deducted from your pre-tax business profits, therefore reducing the amount of Corporation Tax your company pays. Take a look at inni’s simple guide, Tax-efficient donations to charity through your limited company, for more information on how to record donations and sponsorships in an HMRC-compliant way. Directors can take out tax-free loans from their company for a specified period. There are some important rules to consider on these loans, however. One is the amount you can borrow as a director before it’s regarded as a benefit in kind, the other is the length of time you can borrow the money without your company being taxed on the amount borrowed. 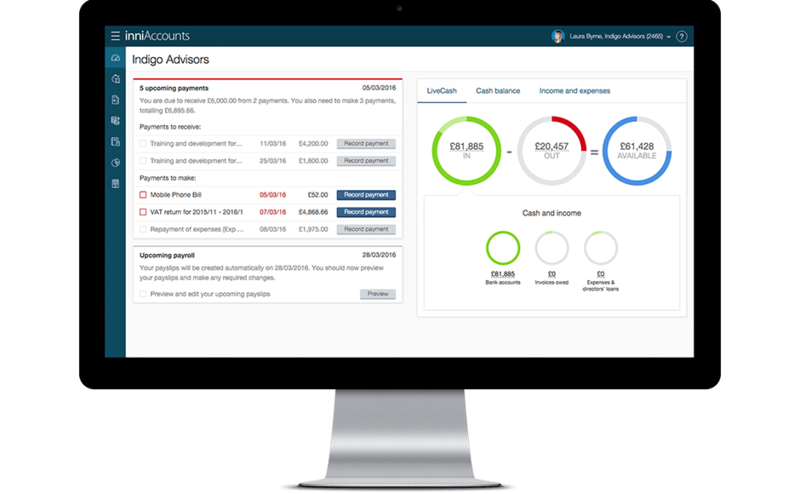 In short, you can borrow £10,000 completely tax-free, providing you repay the loan to the company within nine months of its accounting year end, and wait 30 days before re-applying for a loan from the company. Income protection insurance offers valuable security to consultants should the worst happen and you’re unable to work for a time (i.e. due to illness or injury). The premiums can be expensive though; up to thousands of pounds in some instances. As a director you can set up corporate income protection insurance for yourself; this allows you to pay the insurance premium out of your company funds rather than your taxed income. HMRC allows you as a company to choose the way you are taxed for the insurance cost. Either you can declare it as a benefit in kind and pay tax on the premium or decide not to declare it and instead pay tax on any associated pay-outs in the event of a claim. When setting up any insurance it’s always best to speak to your policy provider to discuss any tax implications of the policy being recommended. Effectively planning for retirement has never been more important and one of the best methods for consultants to save tax is to make contributions to a pension scheme. Depending on your selected pension scheme, your contributions will either reduce the corporation tax paid on your company’s profits, or you’ll receive tax relief on your personal contributions. There is an annual maximum of £40,000 for tax-free pension contributions (as long as you’re in a registered pension scheme accepting direct employer contributions). Should you need to set-up a pension or review your current arrangements, be sure to discuss this with an Independent Financial Advisor. Summer is the perfect time to re-evaluate your business and personal finances to ensure you’re in the best possible position come tax-season next spring. It’s a complicated subject, so before embarking on any tax planning strategy, I’d always recommend that you seek professional advice from experts that understand your field and personal goals.